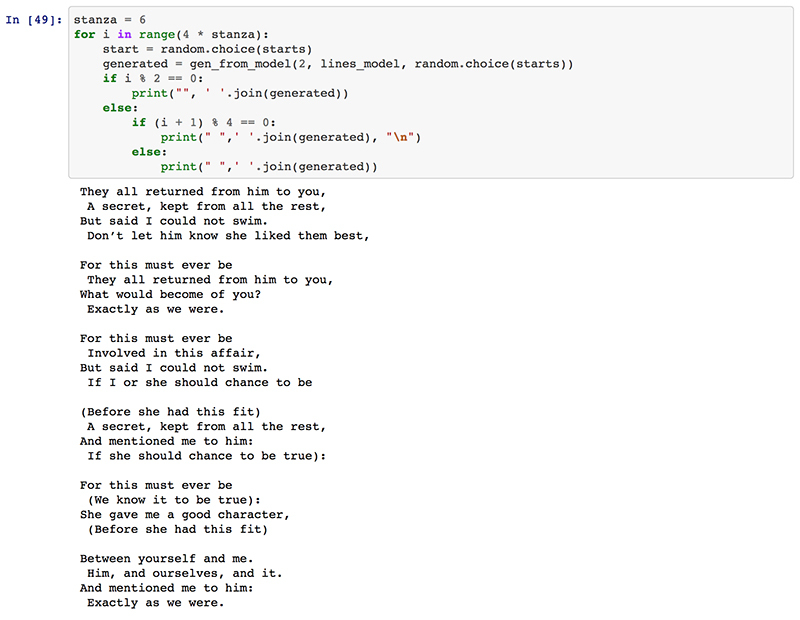 A rewriting generator of the letter from Alice in Wonderland, Chapter 12. The original letter itself is a poem full of pronouns, plays again with the ambiguity of pronouns. In the story, it was used as an item that proves the king's unjust and poor reasoning. 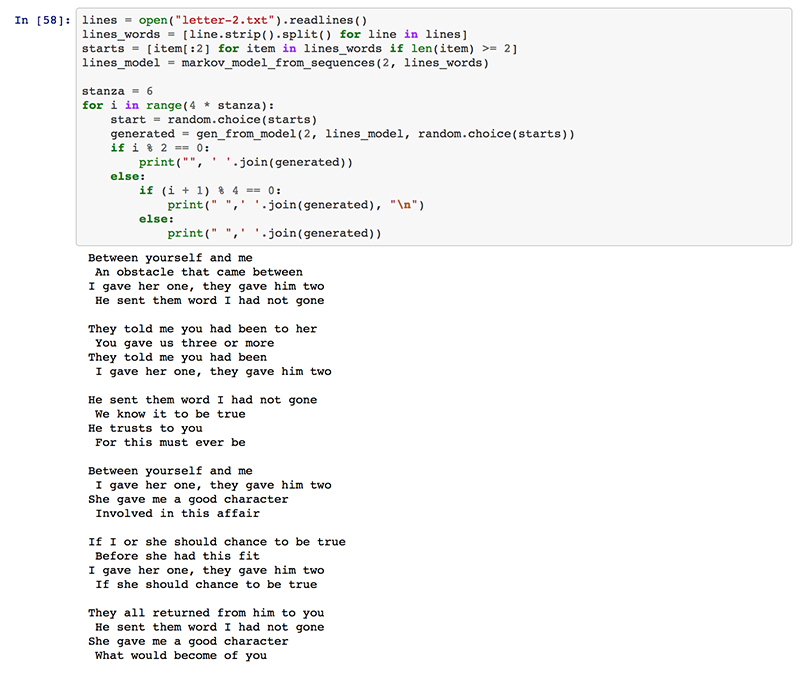 Using that ambiguity, the generator will realign the original poem with shmarkov and create new ones. To make them in similar structure, I put indent in every line with even order. ... and put empty line between every stanza. During the modification, I tried to figure out a natural way to adjust special characters, but ended up being not so successful. Furthermore, I came to a conclusion that only controlling special characters won't make the poem more natural. Probably just removing them all might be a better idea? I truly love your blog.. Excellent colors & theme. Did you make this site yourself? Please reply back as I’m wanting to create my very own website and want to learn where you got this from or what the theme is called. Cheers!